Confined space workers face a number of work place challenges both physical and psychological. Staying in constant contact with entrants and monitoring their safety requires continuous two-way voice communications. 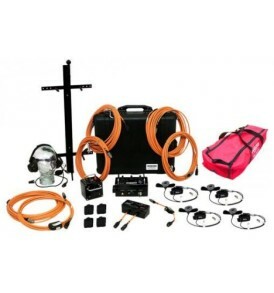 CALL 1300 310 210 TO DISCUSS YOUR NEEDS – this kit can be altered to fit your requirements by changing the length of the cables and changing the facemasks and headsets to products required to suit the application.